April Monthly Kit, March Monthly View Sticker Kit for Erin Condren Life Planner - 105 stickers! May Monthly Kit, March Monthly View Sticker Kit for Erin Condren Life Planner - 110 stickers! June Monthly Kit, March Monthly View Sticker Kit for Erin Condren Life Planner - 106 stickers! July Monthly Kit, Monthly View Sticker Kit for Erin Condren Life Planner - 105 stickers! Announcement Welcome to Coconut Hut Designs! I design decorative and functional planner stickers, specifically for the Erin Condren Life Planner. These stickers will fit in most other planners as well, and you can also use them in your scrapbooks, journals, calendars and creative projects. ♥ All stickers are available in removable matte or permanent glossy finishes. ♥ I add new designs often, so please check back to see what's new! ♥ Please feel free to message me here on Etsy if you have any questions, comments or suggestions. 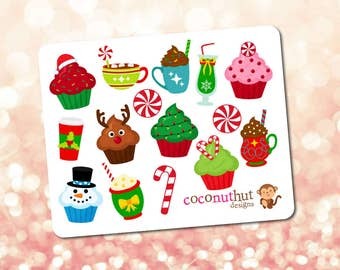 ♥ Follow me on Instagram (@coconuthutdesigns) for coupon codes, updates, sneak peeks, and more! Thanks for stopping by and happy sticker shopping! Welcome to Coconut Hut Designs! I design decorative and functional planner stickers, specifically for the Erin Condren Life Planner. These stickers will fit in most other planners as well, and you can also use them in your scrapbooks, journals, calendars and creative projects. Custom Order for Jennifer P.
March Monthly Kit, March Monthly View Sticker Kit for Erin Condren Life Planner - 107 stickers! February Monthly Kit, February Monthly View Sticker Kit for Erin Condren Life Planner - 105 stickers! December / Winter Blues Monthly Kit, Monthly View Sticker Kit for Erin Condren Life Planner - 106 stickers! 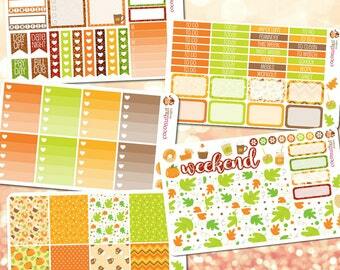 November Monthly Kit, Monthly View Sticker Kit for Erin Condren Life Planner - 107 stickers! January Monthly Kit, January Monthly View Sticker Kit for Erin Condren Life Planner - 107 stickers! Like I said I like her stickers a lot. Will order more! My passion for creating and making things started when I was little. I've always loved doing arts and crafts and trying new things! My sticker obsession goes way back -- I remember selling stickers to my grammar school classmates on the playground during recess (my favorites were the scratch & sniff stickers!). In college I fell in love with scrapbooking and filled countless albums with photos and decorated layouts. I started making jewelry in 2004 after my girlfriends and I stopped at a bead store while on vacation. Since then I've been making Swarovski crystal jewelry and my unique line of flower and butterfly necklaces. I sell my jewelry mainly to friends and family and at craft shows. I have two Etsy shops for my jewelry - TwinkleJewelryDesign.etsy.com and FlowerBeachJewelry.etsy.com - and I hope to devote more time to them soon! Follow me on Instagram @coconuthutdesigns for coupon codes, updates and more! Welcome to Coconut Hut Designs! I design decorative and functional planner stickers, specifically for the Erin Condren Life Planner. Our stickers will fit in most other planners as well, and you can also use them in your scrapbooks, journals, calendars and creative projects. I'll be adding more designs often, so please check back to see what's new! Please feel free to message me here on Etsy if you have any questions, comments or suggestions. Follow me on Instagram (@coconuthutdesigns) for discount codes, updates, sneak peeks, giveaways and more! Since all of our stickers are made to order, refunds will not be given after your order ships unless the item is defective, damaged, or different than described. 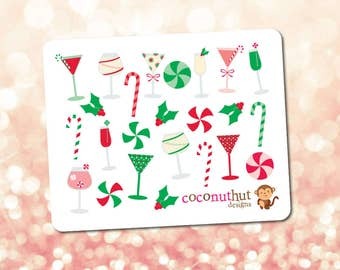 Coconut Hut Designs accepts PayPal, credit and debit cards, and Etsy gift cards. Orders are processed in the order in which they were received. All orders are shipped in rigid mailers within 3-5 business days from the day the order was placed. US orders are shipped (with tracking) via USPS First Class Mail with an estimated delivery of 3-6 business days. International orders are shipped via USPS First Class Mail with an estimated delivery time of 6-10 business days. The buyer is responsible for any taxes, customs fees, additional postage or other charges that may be added by customs. Please note that all delivery times are estimates and are not guaranteed since there may be delays with USPS after the package has shipped. *Please make sure your mailing address is correct. * An incorrect address can lead to delays, lost packages, or additional re-shipping costs. If packages are returned due to an incorrect mailing address, the buyer is responsible for shipping costs to resend the package to the correct address. Once packages are in the hands of the postal service, we are no longer responsible. For any problems, please contact USPS and provide them with your tracking number. Coconut Hut Designs cannot be held responsible for any delayed, lost or stolen packages. Stickers printed on permanent glossy paper tend to have more vibrant and saturated colors than stickers printed on removable matte paper. I try to show the stickers colors as they are, however, everyone's computer monitors are different, and the actual sticker colors may look slightly different in person than what you see on your screen.